The USA renewed its dominance at the 4th NACAC under-23 Championships, held at the Felix Sanchez stadium in Santo Domingo (7 - 9 July), with the attendance of over 500 athletes from 28 countries. The large US delegation of 87 members went unchallenged during the three days of competition, winning medals in almost all events they entered. They collected 59 medals (28 gold, 22 silver and nine bronze), followed by Cuba (9-3-8), which made its debut at the event, after being absent in the last three editions. Jamaica (2-2-2), El Salvador (2-0-0), Bahamas (1-3-1), Trinidad and Tobago (1-1-2) and Saint Lucia (1-0-0) claimed at least one title, followed by Mexico (0-4-3), Canada (0-3-12), the Dominican Republic (0-2-0), Puerto Rico (0-1-5), Bermuda and Saint Vincent and the Grenadines, with a bronze each. Santo Domingo was clearly better than the past three editions as 36 new championships records were set from the 44 events staged. Amarachi Ukabam of the US was the only individual double winner as she took the Shot Put and Discus Throw titles. Cleo Tyson, first in the 100m, Shalonda Solomon, the 200m champion and Shana Cox, the 400m winner, added a second gold as part of the US relay teams. Solomon, two-time World Junior champion (200m and 4x100) was a triple medallist as she finished second in the 100m. There were only two athletes who successful defended their titles, coincidentally in the women’s and men’s Javelin Throw, with USA´s Dana Pounds and Eric Brown repeating their success from Sherbrooke 2004. Ken Ferguson and Garrett Johnson produced the most notable performances of the weekend. Ferguson, the 2003 Pan American Junior champion, broke the 400m Hurdles event record to 49.30 seconds in the semifinal and then to 48.80 in the final, while Johnson took the Shot to 20.64m. The USA went empty-handed only in the men’s Long Jump and the 20km Race Walk. Derrick Atkins was the fastest man on the Santo Domingo track, where he erased the 25-year old Bahamian 100m record of 10.18, shared by three men. He won his semifinal in 10.14, before grabbing the gold in 10.15. Cuba was led by jumpers, taking five of the Island’s nine gold medals. Long jumpers Wilfredo Martínez (8.03) and Olympian Yudelkis Fernández (6.60), triple jumpers Yariana Martínez (14.28) and Osniel Tosca (17.01) all smashed the meet records, as well as Mayoris Sánchez in the Pole Vault (4.20). Ricardo Chambers, the 2006 NCAA silver medallist, headed the Jamaican squad with the 400m gold and anchored in the 4x400m relay to a new event record of 3:03.86. Josanne Lucas gave Trinidad and Tobago its only gold when winning the 400m hurdles in a season’s best of 55.99, only 0.40 off her national record. She was also second in the 100m Hurdles and anchored her team to third in the 4x400m relay. The small country of El Salvador well represented the Central American region with the two wins in the Race Walks, thanks to Salvador Mira and Verónica Colindres. 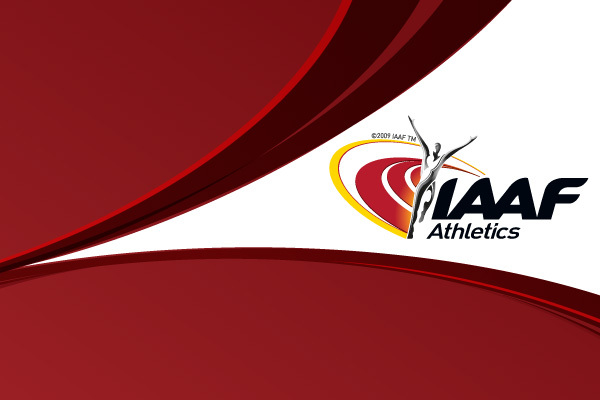 The first two editions of the NACAC U-23 Championships – Monterrey (2000) and San Antonio (2002) - were held for athletes aged under 25 years. In Sherbrooke 2004 on, the event was standardized to under 23 athletes.